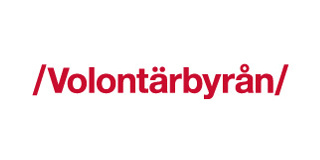 Volontärbyrån connects volunteers with non-profits. We run a free service for non-profits where they can publish volunteer opportunities. Since the start of Volontärbyrån in 2002, more than 2000 non-profits in Sweden have used us to find more volunteers for their organizations. We connect about 6000 volunteers every year. Volontärbyrån is part of The National Forum for Voluntary Organizations, an umbrella organization for civil society organizations. The aim is to improve the opportunities for voluntary social work within Sweden through influencing public opinion, facilitating the exchange of knowledge and introducing tools that further strengthen civil society, and Volontärbyrån is one of these tools. In other words, Forum aims to improve the opportunities for civil society to participate in the creation of a better society. The Volontärbyrån team within Forum (13 employees) consists of six employees. We also provide courses for non-profits in volunteer management and manage local partnerships within different regions of Sweden. Volontärbyrån also runs volunteer programmes for companies where we help to connect employees with volunteering opportunities. This has also included skills based opportunities within for example marketing and logistics. We are looking at ways to further help non-profits take part of pro-bono services. Volontärbyrån has seen that it can be hard, especially for smaller non-profits without strong brands to find and suitable pro-bono partners. At the same time, we see an increased wish from the for-profit sector to contribute in this way and want to make it easy to connect these companies with non-profits.